In mixer bowl mix together 2 cups flour, salt, sugar and yeast. In a medium bowl stir together hot water and 1/2 cup olive oil. Using the dough hook on low speed slowly add liquid and 3 more cups of flour kneading until forming a soft dough. Add up to 1/2 cup more of flour while kneading to prevent dough from sticking. Remove dough and form into a ball, place in a lightly oiled bowl. Cover bowl with plastic wrap and let rise until double in bulk. Using the remaining 1/4 cup oil, evenly oil a jelly roll pan. 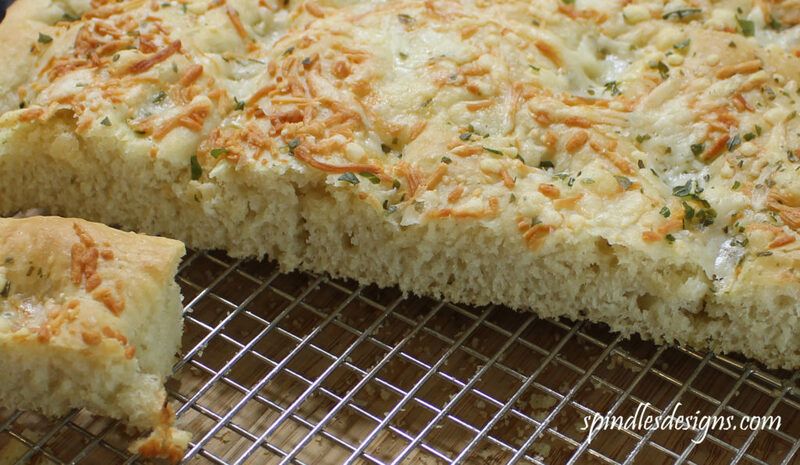 Turn the dough onto pan and press the dough evenly using your fingers. Let rest for 5 minutes and press to edges. Cover with towel and let rise until double. 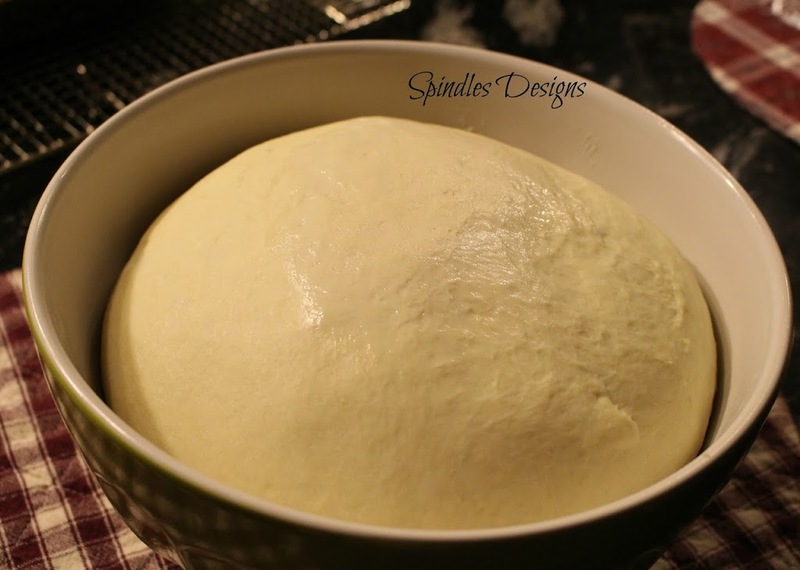 Dimple the dough by pressing your finger tips pressing all the way to the pan bottom about 1″- 1 1/2″ apart over the entire surface. Sprinkle the top with kosher salt, basil and cheeses. 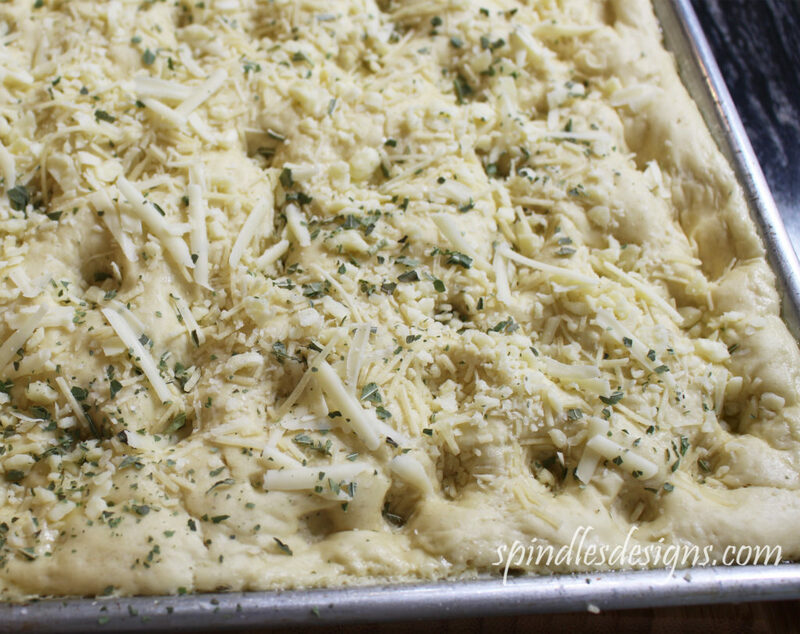 Bake at 450 degrees for 20-30 minutes or until cheese browns. It turned out to be delicious. Make some tonight! 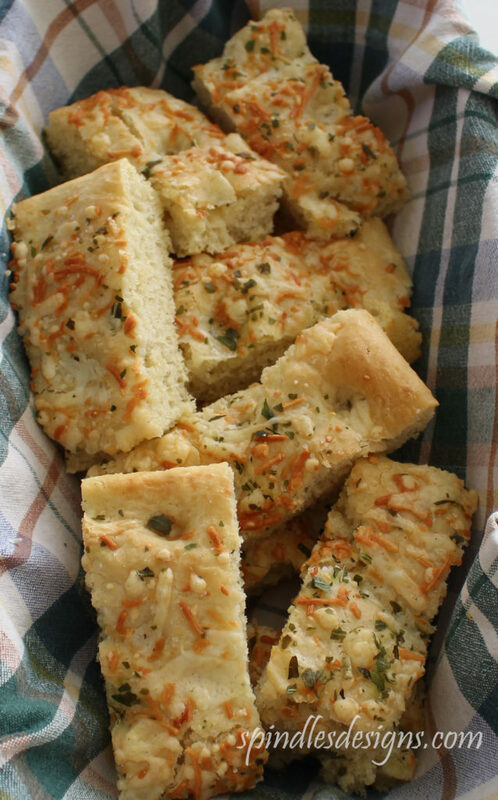 I LOVE focaccia! I’ve only made it once however. I need to remedy that! I hope you take the opportunity to try it. Come see us again.